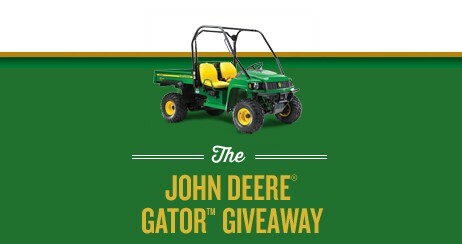 Check out season-long parasite control with LONGRANGE eprinomectin and enter to win yourself a JOHN DEERE GATOR worth nearly $10,000! One (1) JOHN DEERE® GATOR™ Utility Vehicle, model HPX 4x4. Approximate retail value of $9,299. This Sweepstakes ends on 03/31/17 and you can ENTER ONCE to win.